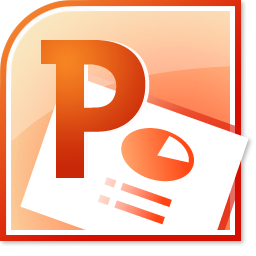 Microsoft PowerPoint allows the user to create a slide show on their computer which, when used as a tool to assist in the explanation of a business idea or plan, at a sales conference or customer presentation, can add impact to an already good idea or assist in its explanation. Its use on training courses is widespread as it allows the trainer to assist all delegates in their understanding of the product that is the subject of the course. In fact, a visit to the Dilbert site and a search for “PowerPoint” brings up pages of examples of how PowerPoint can be badly used; our Microsoft PowerPoint training courses will help you avoid them! Set our below as downloads are the detailed course content for our standard Microsoft PowerPoint 2010 training courses as an indication of what is covered. Please remember that if one of these is not an “ideal fit” for your needs, or you would like to combine elements from different levels, or need an earlier version, then please talk to us to discuss tailoring a course directly to your needs.